I reviewed a show at Broadway Theatre in Catford last week and it’s a venue with which I go back a very long way. Having grown up in the Borough of Lewisham I came “home” two years ago to live back in Catford after four decades elsewhere. What we used simply to call “The Town Hall” has been familiar all my life. We went there all the time, years ago. It was very much what we would now call a community space. 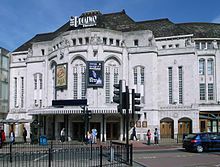 I was taken to shows at The Town Hall too both by my parents and at least once in a party from primary school – often musicals and especially Gilbert and Sullivan. The ones presented by our local community companies: Lewisham Operatic Society and Eldorado Operatic Society were especial favourites. And by the time I was about 12, if parents were too busy, I just went with a friend. And I remember at, maybe 16, going with a friend to hear a performance of Bach’s B Minor Mass in The Town Hall. To my astonishment my violin teacher, Miss Barbara Strudwick, was leading the orchestra. 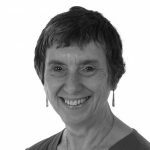 It had never occurred to me that she had a life as a freelance musician beyond teaching. She was utterly delighted when I told her the following week that I’d been in the audience. We had our school speech days at The Town Hall too. So I attended, and took part in, eight of those during the years I was at Sydenham High School including one in the term after I left, to collect certificates. As I progressed up the school I sang in senior choir and played in the school orchestra at those Town Hall speech days. We used to get ready to file to our places in the small hall downstairs now converted to the studio theatre where I saw Artform’s enjoyable Sweet Charity last week. It used also to be a space for hire. I once attended a 21st birthday party (older brother of a friend) down there. Once I’d left school, been through teacher training college and returned to south London to a teaching job, I joined the Lewisham Philharmonic Orchestra. Musically they were a ropey lot, saved by stiffeners from the Royal Artillery on concert days. But we played some good stuff and I don’t have to tell you where the concerts were held. Known for a long time as Lewisham Concert Hall, it’s a rather wonderful, curved art deco building dating from 1932 (architects: Bradshaw, Gass and Hope) originally built on the site of an old fire station as an extension to the existing Victorian gothic town hall next door and incorporating a performance space. That means that my father, born in 1922, and his father born in 1896 and both Lewisham men, must clearly have remembered it being built but I don’t recall either of them ever mentioning it. 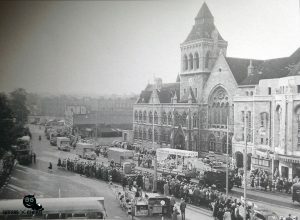 Even I remember the old town hall next to the concert hall which wasn’t demolished until 1965. John Betjeman did his best, I gather, but failed to save it. In 1987 the small hall was converted to the 120 seat theatre it is now. I’ve seen several shows in there in recent years and it works well. You can still see the elegant woodwork and floors which characterise the building. And in 1993 someone had the sense to get it listed – Grade 2 status means that it’s pretty well protected from institutional vandalism. In the early years of the millennium there was a £2.3 million refurb which restored some lost art deco features. It was then renamed Broadway Theatre in 2003. The lovely old place, so full of personal memories, still seems to be a bit underused, and faintly unloved though (the main house was dark when I was there last week, for instance) and it would be excellent if it were to become a receiving house for, say, some mid scale touring shows. As it is there’s a thriving youth theatre, an annual pantomime, a diverse range of one night stands and short runs including community companies such as Artform which has a residency there. The activities, events and shows are varied and interesting but there need to be more of them and Catford needs classier stuff alongside the mainstream. Last year’s Shakespeare Festival – Catford on Avon – was a good start. It’s a fabulous building and I’d like to see it become an integral part of people’s lives as it was for me when I was a Lewisham child. The old town hall in the centre with the new extension, more or less as it is today, on the right. Given the crowds this may be the opening ceremony for the extension.